Lately I've been scratching my head at the preponderance of '80s-style fusion jazz that's being released these days. To paraphrase John Oliver's show on HBO, I'm wondering why this is still a thing. To me it sounds dated. I'm not talking about the compositions or the execution, but the instrumentation--twinkly electric pianos, funky bass runs, sax solos straight out of Lethal Weapon and most of all glassy, slick production values that comes straight out of digital's early years. When it comes to jazz, preservation of classic styles is often paramount--but I'm still questioning the necessity of preserving this stuff. It's all about preferences, I know, and I'm being kind of a pig about it. But sometimes I kind of go, "Ew." Then I get proven wrong by fusion jazz that balances the old and the new. 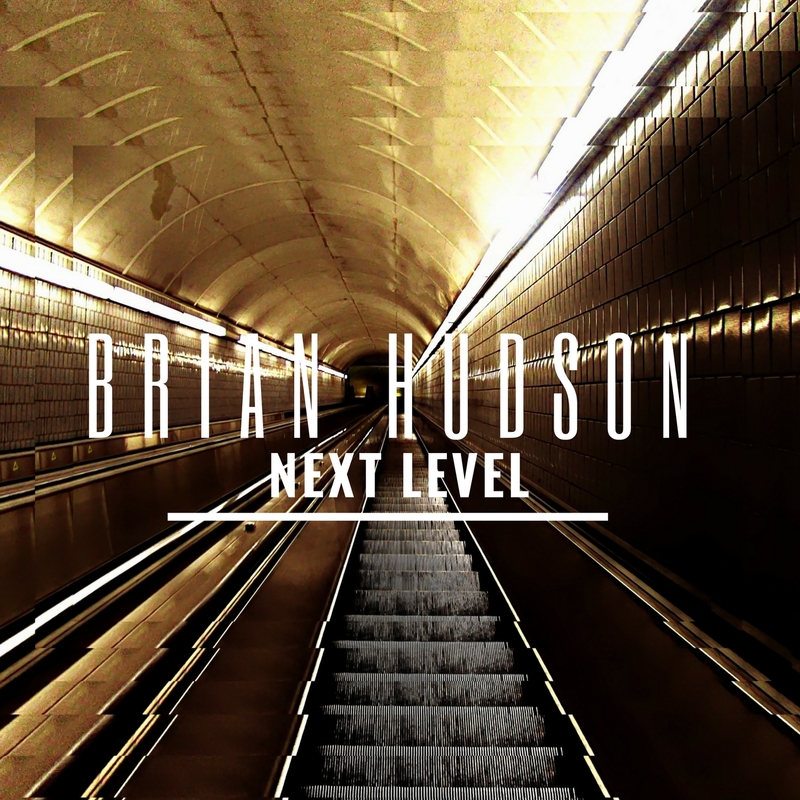 Drummer Brian Hudson's new album, Next Level, is a case in point. This is funky fusion jazz that does sound thirty years old, but in a good way. 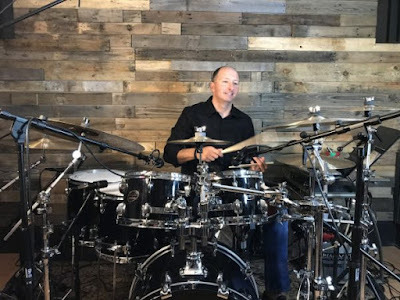 This collection of originals from Hudson and keyboard player Randy Hoexter is bristling with pure energy and excitement, and the whole album is executed with such precision that you'll understand why these two gentlemen are so dedicated to this genre. What sets this album apart from some of the others I've heard recently is that Hudson has gathered a collection of fusion all-stars who have played with such legends as Larry Carlton, Earl Klugh, Quincy Jones, Stevie Wonder, Aretha Franklin and many more. They're all ringers, in other words. Hudson is no wallflower, either--his drumming is up front and center, always full of complex rhythms and textures. From an audiophile point of view, his work is a tutorial on dynamic contrast. The overall sound quality of this CD is stunning in its superb sense of flow and balance. It doesn't sound glassy and bright in that woefully cheery '80s style--it's warm and full and engaging, which is probably why I like the album so much. So am I warming up to this genre? It's hard to say. I could go back and re-evaluate some of those CDs I dissed over the last year and determine whether or not I needed a valid entry point. But what I really believe is that this is a smooth, professional, expertly played CD that makes me realize that fusion can still be as intriguing now as it was in 1986. 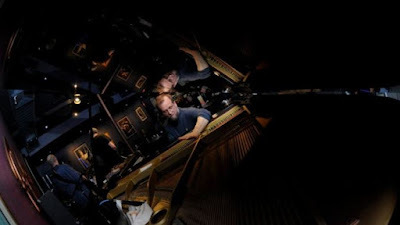 My review of Lars Jakob Rudjord's spectacular new LP, Indiepiano, is now live at Positive Feedback. You can read it here. Enjoy! Hey wait. This ain't jazz. Highlands & Houston reminds me of one of those projects they used to do with people like Mark Knopfler and Chet Atkins, where you take two accomplished musicians from different genres and throw them together so they can create something magical and unique. 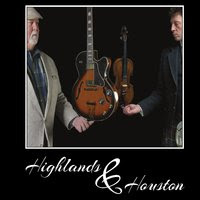 In this particular case, American guitarist Michael Hurdle has teamed with Scottish fiddler Paul Anderson to play mostly Scottish and Celtic folk ballads with a slight Texas twist. It works incredibly well, which is sort of the point--Hurdle initiated the project after a lifetime of exploring the intersections between genres such as gospel, country, soul, blues and even funk. Both Hurdle and Anderson have plenty in common when it comes to the mastery of their instruments. Both have won numerous competitions, for example, and both are prolific songwriters. 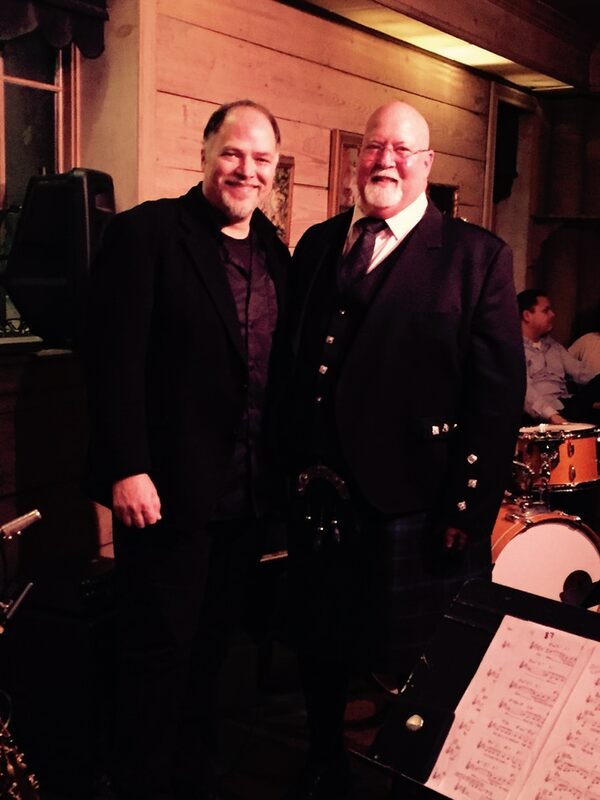 But while Anderson is very well known back in Scotland from his appearances on TV and radio, Hurdle spent most of his life working in the healthcare industry and didn't go professional until later in life. (He started off playing in his local church back in the '60s, with a 12-string guitar he named Sister Rose.) You wouldn't know that from listening to him play, however--he plays his hollow body Gibson with a confident style that suggests a huge catalog over many decades. These two gentlemen probably could have delivered an astonishing album with just their fiddle and guitar, but they've assembled a large ensemble that allows them plenty of flexibility while they straddle musical styles--mandolins, keyboards, drums, vocals and yes, even bagpipes. Hurdle provides even more variety by playing dobro, bass and Cuban el Tres. Sometimes this results in a busy, bright sound, and folk albums should probably lean more towards the understated and natural (especially when the bagpipes appear in the final track, a melding of "Scotland the Brave" and "Auld Lang Syne"). But Highlands & Houston is different enough to be refreshing and lots of fun, and that counts for a lot. I've been quite busy the last couple of weeks moving into my new Rochester digs. After 18 months in an apartment I finally have a house again, and a listening room. I also have a huge pile of music to review, so I need to spend the next few days diving into it, especially since I'm going on vacation in a few days. I'm certainly not going to rush through reviews the next few days--I've actually been getting very familiar with most of them over the last couple of months. 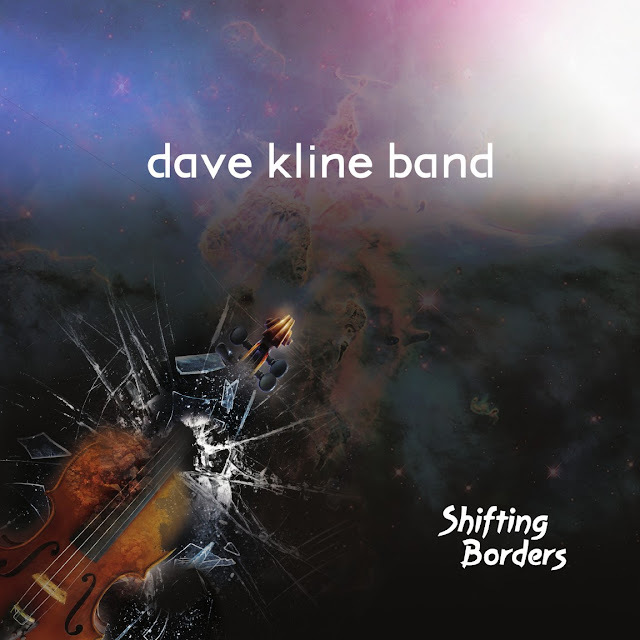 One that really stands out is this one from jazz violinist Dave Kline. It's immediately likeable and engaging, and it's been in my car CD rotation while I move the last few boxes from Syracuse. As you might deduce from its title, this album focuses on worldly themes and influences. Kline started off as a classical violinist while growing up in London, but when he moved to the US he became interested in music from other parts of the world--Africa, the Caribbean and Latin America. As you move through these nine originals, you'll hear all sorts of esoteric motifs that range from good old-fashioned rock and roll guitars to Eastern European fiddles to Haitian percussion. It's a mish-mash of styles (the liner notes employ the word "smorgasbord," which is pretty accurate), but it works so effectively because of the energy and drama Kline injects into each composition. While it's beautifully recorded, it's not purist by jazz standards. 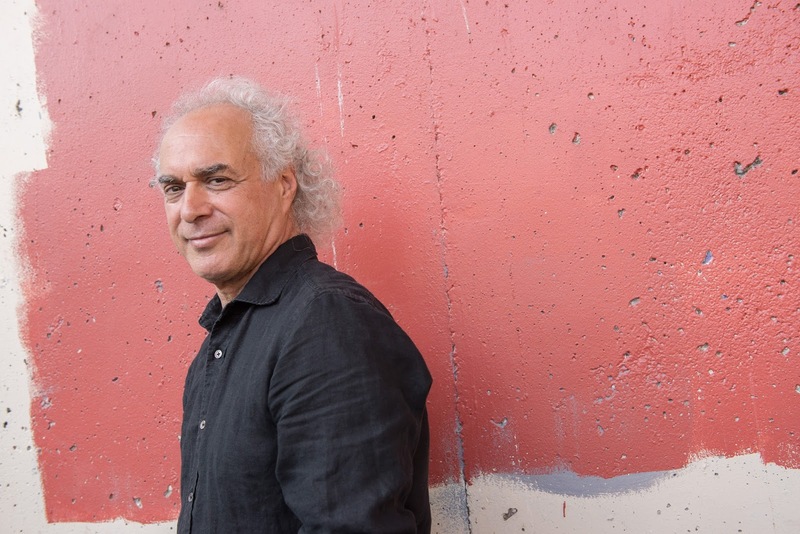 Kline has enlisted plenty of "plugged-in" musicians, in other words, and he's fond of using electric violins and layering tracks in order to create his own string sections. Normally this would push the effort into the jazz fusion genre, but so much of this music crosses over into world music and, let's face it, pop. But to suggest Shifting Borders is mainstream is doing a disservice to the sheer creativity involved. I'm not a huge fan of pigeon-holing music into genres, and Kline is delivering likeable, energetic songs that may appeal to the masses while emerging from a palette of uncommon colors. I'm not sure if audiophiles dig spoken word pieces or not. I can't think of a famous reference disc that consists of someone reciting poetry or prose with musical accompaniment. The closest thing I have to that in my music collection is an LP, part of the Jack Kerouac box set that came out a couple of decades ago, that includes Jack reading from the last few paragraphs of On the Road while Steve Allen improvises on the piano. I fondly remember going to the Anti-Club in Hollywood back in the late '80s and seeing Henry Rollins and Exene Cervenka reading their poetry with spare musical accompaniment. I vividly remember those recitals. So I'm not sure why spoken word pieces aren't more popular. The voice alone, clear and naked, could be used as a true reference point for audiophile since most of them don't have access to a singer who can perform in their living rooms at a moment's notice. Throw in something substantial, such as a grand piano, and you might be able to start a new trend for the old dogs among us. 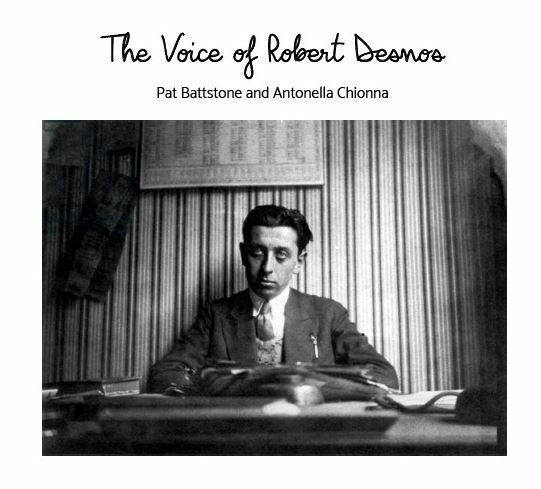 So I submit The Voice of Robert Desnos, with Antonella Chionna reciting Desnos' dreamy, surreal poetry backed by Pat Battstone's light and versatile piano. The sound quality is spectacular, precise and direct. But it's spoken word, the whole way through. Will that be interesting to us? I say yes, and wholeheartedly. First of all, Chionna's voice is utterly charming with its moderate Italian accident--she sounds a lot like Valeria Golina's character in Rain Man. Even when she's digging into terse and repetitive poetry--Desnos had a habit of repeating words and phrases over and over for emphasis--her voice casts a spell. Desnos' poetry deserves equal attention since it's dreamy and surreal and delves deep into the human subconsciousness. Finally, Battstone's flowing keys provide the momentum as well as the actual direction. This is Battstone's project, after all, and he's the one who found the Desnos poems and sent them on to Chionna to see if she'd be interested. She was, as you see. As much as I enjoy this CD and admire such a cerebral effort, my audiophile side still resists a little. To illustrate, I've listened to this recording a few times and two different people burst into the room and asked me what the hell was I was listening to. So enjoying this CD will depend upon a simple realignment of the way you listen to music, something to push you past the novelty. It's certainly something to think about. There are a lot of terms you can use to describe a jazz musician, but "self-taught" isn't a common one. Most jazz musicians work hard to get where they are, and they've studied with a few master musicians along the way. When I delve into the liner notes of some of these contemporary jazz titles I've been reviewing, there's always a story about a famous musician who influenced the artist when he was young, or where he was born into a family of musicians, or whatever. Andy Adamson, however, is a self-taught jazz pianist and composer. Sure, he was influenced by Coltrane, Chick Corea and the Mahavishnu Orchestra, but he sounds like he does because he's been doing this for 50 years. He's had time to poke around and figure out what this jazz stuff is all about. His new CD, First Light, is a collection of originals from his "vast catalogue of original work." 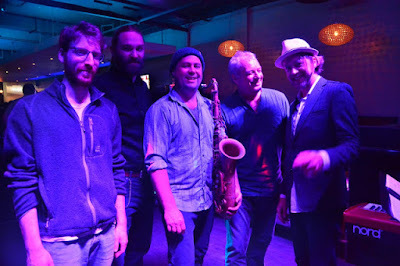 His fellow musicians--sax player Dan Bennett, bassist Brendan Andes, drummer Jonathan Taylor and trumpeter Ross Huff--are noted for their tremendous body of experience in the jazz world, and for their ability to handle some of Adamson's polyrhythmic structures in his songs. 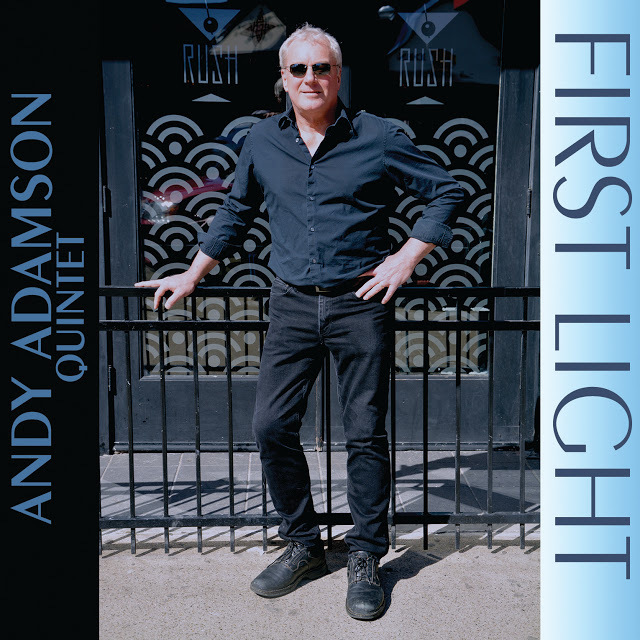 Throughout First Light you'll hear so many evolving textures and dynamics, an Adamson trademark, that you'll question whether or not the same five gentlemen are hanging around for every track. They are. In some cases, the dynamic contrasts are contained in a single song--note the crazy, electrified coda for "Twilight in the Making." Throughout the album there's a sense that the space between the songs isn't aligned with what you're hearing, that some songs have suite-like structures while other themes pop up in one song only to end in another. Perhaps that's where Adamson's autodidact approach is a true gift since he's not bound by the few rules that do exist in jazz but still manages to construct moving and coherent melodies. First Light deserves a listen because of that willingness to stand out from the crowd. It's original, and that's something in a genre so in touch with preserving the past.